0 anime images in gallery. Tagged under Yuki Design and Mascot (Meta). Rabbit Yukine is a pet rabbit who made it's first appearance in Yuki Miku 2014. 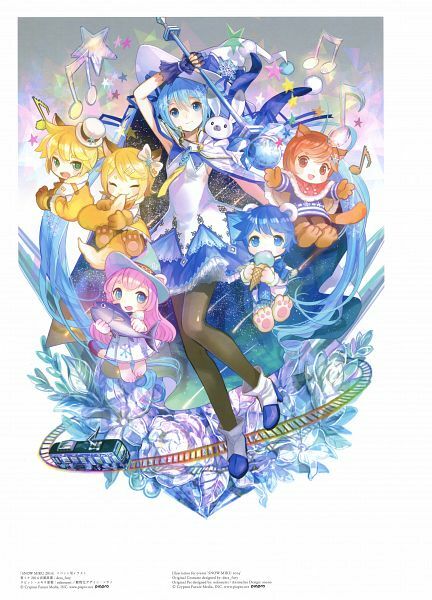 Along with 2014 design theme contest, "Magical girl and magic stick", there was a second contest, "Yuki Miku 2014 pet". After being voted as a winner by the Nico Nico Douga viewers, Yukine became officially Yuki Miku's pet and started to cheer for Hokkaido's winter along with her. Yukine gets its own design contest.